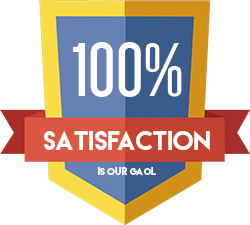 Trust Garage Door Service is proud of the service we've provided to Bowie over all these years, and we value the relationships we've built with both homeowners and commercial clients alike. We continually strive to maintain our relationship with the community while also improving the range and scope of our services, constantly challenging and bettering ourselves so that we can stay at the head of our industry. Quick response time, friendly and professional service and the best catalog of parts around are what make us the local leader in garage door services. Are you looking to install a new door, or to replace an existing door, and are confused about which model is best for your needs? 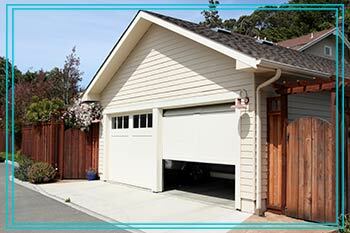 Trust Garage Door Service offers complete start-to-finish service in selecting and installing your new garage door. Our extensive supply chain allows us to give you the widest range of high-quality options possible. And we'll always be available for service and maintenance of these doors with our top of the line catalog of parts. Irregular garage designs and large-scale commercial products are not a problem for our technicians; we've got the experience and the inventory to handle any project. 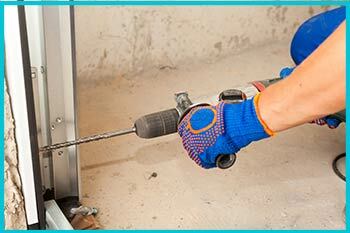 Trust Garage Door Service is also proud to offer our full range of services around the clock. We don't take nights, weekends or even holidays off. We know that a garage door issue can happen at any time, and that it also usually causes serious inconvenience if not outright danger. Our technicians will be on site within an hour of your call, even late at night or during a holiday weekend. All of our technicians are trained in our full range of services and bring with them a mobile workshop that gives them the ability to perform any repair or replacement on site in a very reasonable amount of time. We take pride in being both the fastest and the highest quality garage door maintenance service in the area, and we look forward to putting our experience and training to work to assist you. Access to your home or business is a sensitive issue, and you have both a right and a personal duty to be selective about who you trust with it. Trust Garage Door Service understands and respects this. We're only as good as our reputation, and that's why we've worked hard for many years to build relationships with both residents and businesses in the local community. This is our home too, and we want it to be a safe and secure place just as much as you do. 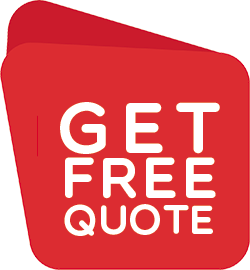 When you call Trust Garage Door Service, we want you to feel assured that you are dealing with nothing but trustworthy professionals committed fully to your privacy and safety from beginning to end of the whole process. Trust Garage Door Service's commitment to security and trust extends to each and every member of our team. Each garage door repair technician on our staff holds relevant industry qualifications as well as having had their formal training in the field thoroughly verified. We also have our own internal customer service training course that we require all technicians to complete successfully before they head out into the field. Trust Garage Door Service technicians are trained to keep you in the loop at all times, breaking down the installation or repair process for you step-by-step to ensure you fully understand the service you are getting and what the positive outcomes and benefits of it will be. Our technicians are also trained to make observations of the garage door system as they work and to make helpful upgrade suggestions should you desire them. Trust Garage Door Service's product selection allows us to be very flexible in the services we offer, tailoring solutions to the specific needs of each client and even making changes on the fly when it is required. Trust Garage Door Service works hard to be the area's first and best choice in garage door repair, replacement and installation. Our advantage starts with our highly trained staff and extends to our 24 hour service, our cutting edge industry knowledge and access to a wider variety of parts than any of our competitors. Our technicians arrive on the scene promptly, value the business and the privacy of each customer, and make repairs quickly and skillfully while also making suggestions for improvement that will lead to enhanced security and operational efficiency. Trust Garage Door Service understands that the garage door is a vital link in the barrier of security that protects homes and businesses, and that a garage door failure can expose our clients to potential theft and harm. These doors are made to withstand heavy use for a number of years, but it is unavoidable that internal parts will gradually wear down and eventually cease to function properly. Homeowners and businesses need a reliable repair and maintenance service that is always on call, and Trust Garage Door Service strives to be the #1 provider of that service in Bowie.